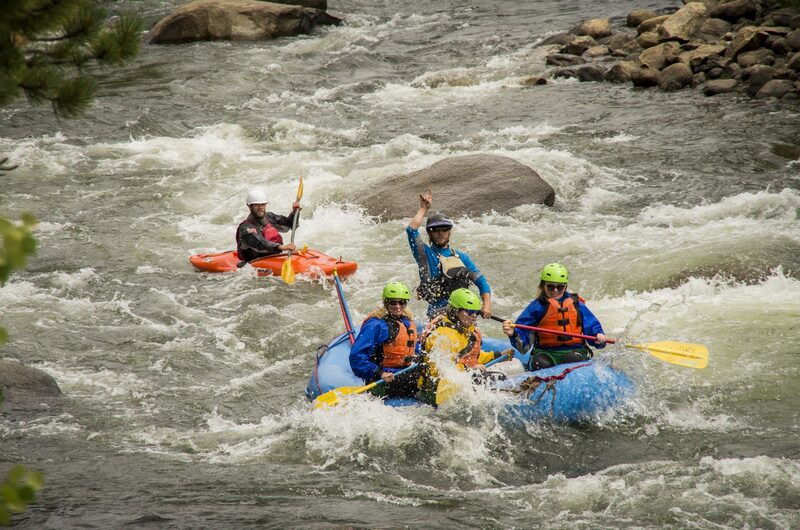 With tight lines and steep drops, you should be prepared for plenty of action as you navigate through this quintessential piece of Colorado whitewater! The rapids are consistent so paddlers should be in good physical condition and ready for a workout. The trip starts with a morning warm up rafting through Brown’s Canyon National Monument, then head back to RMOC for Mountain Mex style lunch. Finish the day with an exciting run through The Numbers. You can also make this a multi-sport adventure day by adding some rock climbing at The Pumpstation. After your exciting rafting trip through the Numbers, enjoy a riverside Mountain Mex lunch, then head up to our riverside climbing spot and enjoy guided top rope climbing as well as a fun overhanging rappel!